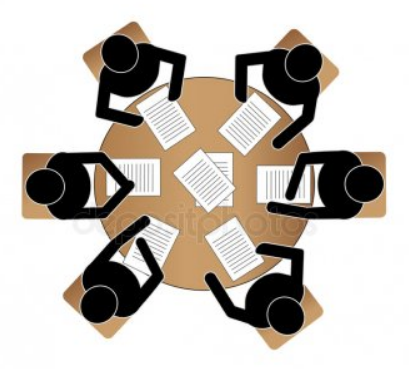 Should you join a writers’ group? • Inexperienced writers are not the best people to critique the work of other inexperienced writers. • Group members don’t always speak the truth, because they don’t want to hurt someone’s feelings. • Group members usually don’t want to hear the truth, because criticism hurts too much. They want the group to praise their writing so they can enjoy the fleeting high of affirmation—something we all crave for what we do and say. At its worst, a writing group can cause deep self-doubt, crippling frustration, and sometimes years of wasted effort. Let’s expand on those points. Why would you think that being in a room with other people who are also struggling with the same writing problems you are and who have little or no experience with that struggle would be a good way to improve your work? Yes, you might get camaraderie and a sense of community, identity, and purpose, which is fine, but the odds of getting specific, useful help with your writing are low. Aspiring writers who are not seasoned enough to assess problems with a story often get it wrong, or get it only partially right, or demand specific remedies by using a kind of unconscious group-think approach of what they like or don’t like. That’s not helpful. What others like or dislike is a subjective response that comes without any assistance with how to move forward. You might get the “It’s not working” feedback but not the education you need to fix your problem—and certainly not the editorial understanding you need to prevent it from happening again. People may offer ideas for how they would fix things or how they see your story or what they would do, but this is a sure path to crushing fragile new projects and wavering confidence. Most writing groups tiptoe around glaring weaknesses in the work being shared and sometimes tell outright lies about it because they don’t want to hurt people’s feelings. All the writer hears is praise or vague criticism that isn’t actionable, so novice novelists assume that what they are writing is solid (if not awesome) and plow on, creating fundamentally flawed work. Developing writers must find a way to welcome criticism, even harsh criticism, but writer’s groups tend not to foster this ability. As a result, no one learns new things, no one grows, and they become deluded about their work, believing it to be better than it is. Tell the truth. If something is not working—if it has a fatal flaw, if it’s ill-conceived, if it has an underlying problem with literary conventions—say so, being as specific as possible. Don’t hold back for the sake of being nice. Nice could condemn a writer to years of writing in the wrong ways. A consensus regarding telling the truth should be one of the ground rules when a writing group is established. Be open to criticism. If you get deep criticism of something you have written, consider that you might need to deep-six the book project and go back to the drawing board. Allow that reality a place at the table. New writers often say they know something is wrong with their novel, but they can’t put their finger on the problem. A writing group might be able to help them find the answer. Talk about the failure. Discuss the doubt and the agony of writing a novel. Let the pain be part of the mix, because creating something out of nothing is not easy. It’s highly emotional work. Writers need support, and they need a safe place where they can fail. Let your writing group be a place where you can learn the craft and provide a valuable service to others. Thanks for your comment. I’m glad you joined an exceptional writing group.